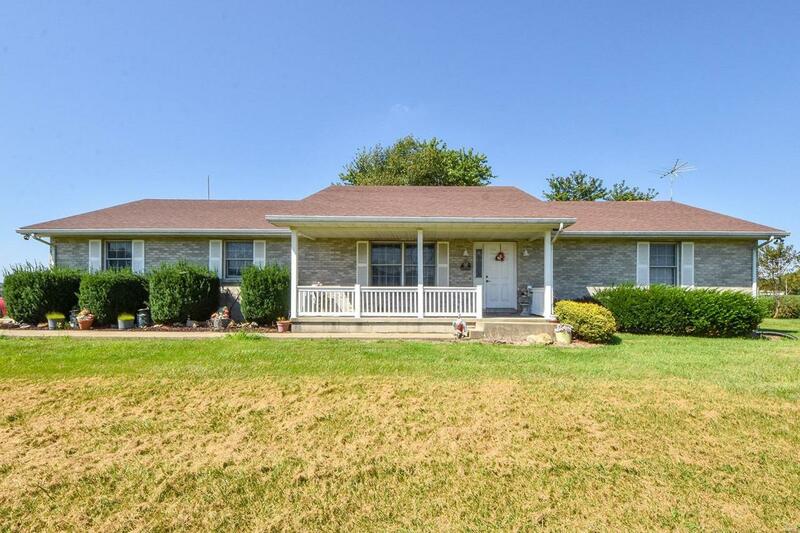 Charming 2BR/3BA, practically move in ready home on 5.174+/- acres just outside Lebanon, IL is within OFallon School Districts. 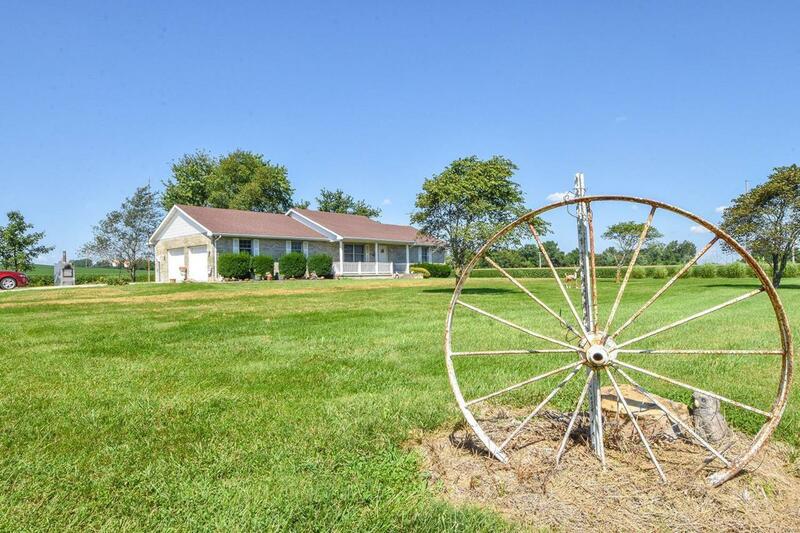 The home site is situated on approximately 1 acre while the remaining 4 acres is farm ground offering future income earning potential. 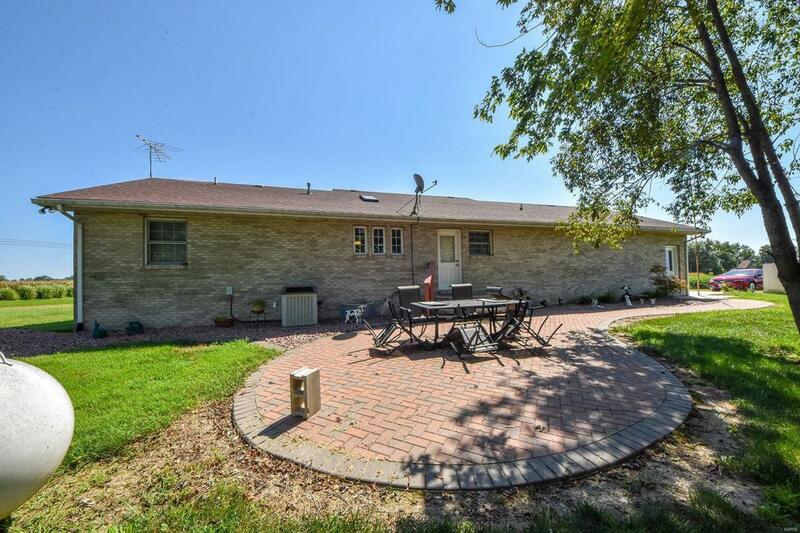 In addition to the 2 BRs, the remainder of the homes main level consists of a large, shared living/dining room which opens to the kitchen w/ wood flooring & custom red oak cabinets, a laundry room, and 2 bath rooms. 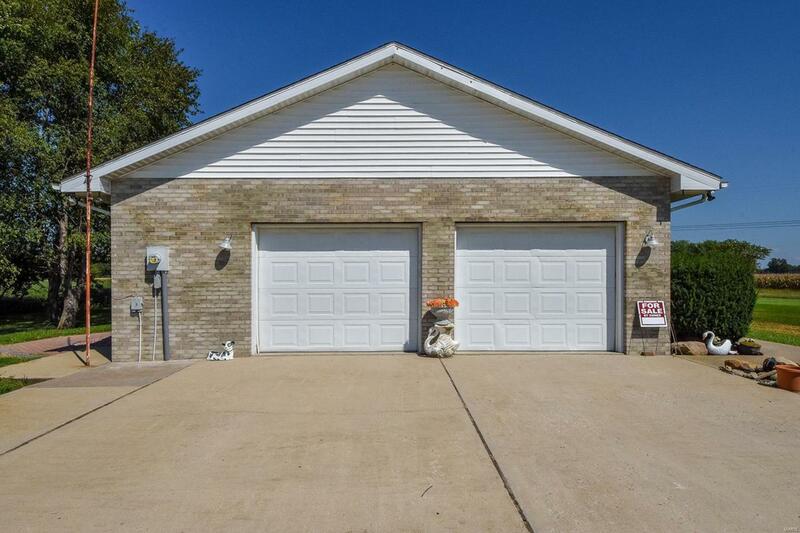 The lower level can be accessed from inside the home and a separate entrance inside the garage and offers a large great-room that offers flexible living space, a bath, a bonus room, & lots of storage space. While the home has a central heating/cooling system there is a secondary wood burning heating system for the entire home as well as the hot water heater that is located outside at the driveway.